Martin W. Friesen. Preservings photo. Martin W. Friesen: educator and Mennonite historian; born 1 October 1912 in Grunthal, Manitoba, to Martin C. and Elisabeth D. (Wiebe) Friesen. He was the eldest of nine children. Martin W. Friesen grew up in a Mennonite community in southern Manitoba. His father was the bishop in the Chortitza Mennonite Church of Manitoba, when the group decided to leave Canada for Paraguay in 1927. Martin W. Friesen worked closely with his father in providing leadership to this immigrant group. Even before the group reached Paraguay, they had planned the education system for the future Menno Colony. Martin and his father did much to organize the colony’s social and economic life in the early settlement period in Paraguay. Although for the first 25 years, education of the children in the colony very much followed their earlier tradition of a school in every village which taught very basic reading, Bible and Catachism, it was Martin W. Friesen, who eventually organized a summer school for teachers. This “upgrade” for teachers enabled them to introduce additional subjects from Germany’s school curriculum during the 1950s. During this same period, Martin W. also started a Bible School in Menno Colony, a forerunner of what soon became the Vereinsschule, then the Zentralschule, and finally Escuela Secundaria (High School) in Loma Plata. 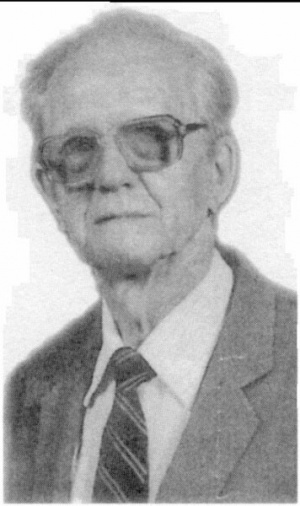 Martin W. Friesen was also the archivist and historian for the Menno Colony in Paraguay. Among his most important historical works were: Kanadische Mennoniten bezwingen eine Wildnis: 50 Jahre Kolonie Menno – erste mennonitischen Ansiedlung in Suedamerika (Loma Plata, Parguay, 1977) 173 pages, and Neu Heimat der Chaco Wildnis (Altona, Manitoba, 1987) 502 pages. Martin W. Friesen was married to Elizabeth Thiessen in 1938 in Paraguay. After 62 years of service in South America in the Menno Colony, Martin died on 7 November 2000 in Loma Plata, Paraguay. Gerbrandt, Henry J. “Martin W. Friesen 1912-2000, Historian.” Preservings No. 19 (December 2001): 66. GRANDMA (The Genealogical Registry and Database of Mennonite Ancestry) Database, 5.03 ed. Fresno, CA: California Mennonite Historical Society, 2007: #530499. Huebert, Susan. "Friesen, Martin W. (1912-2000)." Global Anabaptist Mennonite Encyclopedia Online. January 2008. Web. 24 Apr 2019. http://gameo.org/index.php?title=Friesen,_Martin_W._(1912-2000)&oldid=94752. Huebert, Susan. (January 2008). Friesen, Martin W. (1912-2000). Global Anabaptist Mennonite Encyclopedia Online. Retrieved 24 April 2019, from http://gameo.org/index.php?title=Friesen,_Martin_W._(1912-2000)&oldid=94752.